What The Heck Are HEPA Filters - And Why Should You Care? An air filter’s main function is to remove airborne pollutants from the air that circulates through our offices and homes to protect the buildings occupants 1. A HEPA filter is so effective it is the main line of contamination defense in hospital operating suites, protecting doctors, nurses, staff and of course the patient on the table. They are also used in commercial applications that have a defined extreme cleanliness level (commonly called clean rooms) where microprocessors and pharmaceuticals are manufactured. Without HEPA filters there wouldn’t be any clean rooms; no cell phones, no televisions, and none of the pharmaceuticals we produce to make life more comfortable. 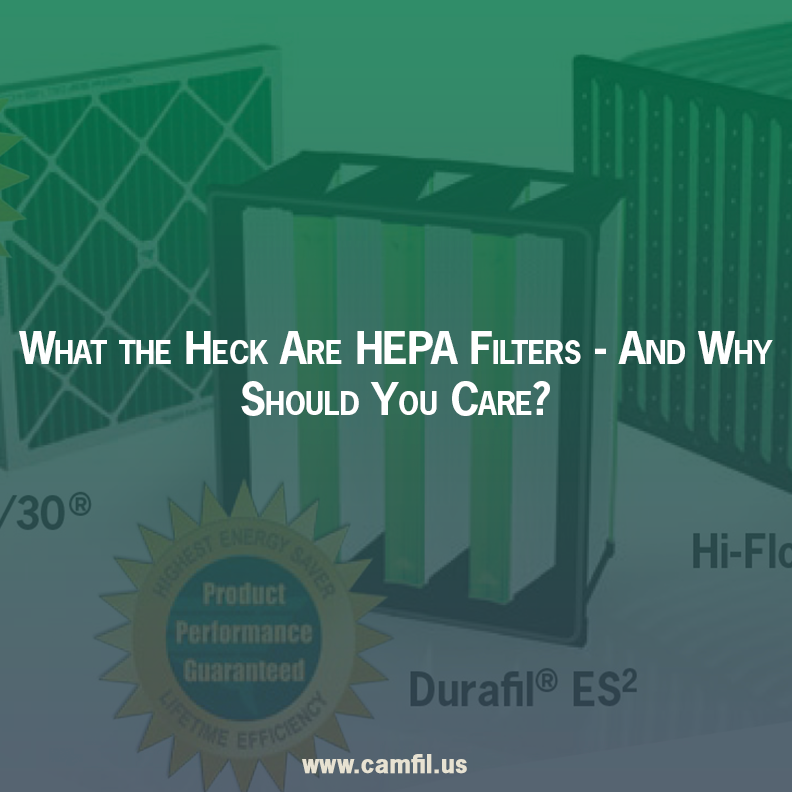 HEPA is an acronym for high-efficiency particulate air filter. Its original name was high-efficiency particulate arrestor, titled so by the US government when they were developing the filter during the manufacture of the original atomic bomb (the Manhattan Project)2. To be a true HEPA filter the delivered product must have been individually tested as to its efficiency and airflow and serialized on a label on the filter by the manufacturer. There are different classes of HEPA filters with increasing levels of efficiency but the minimum level of efficiency must be at least 99.97% efficient on particles 0.3-micron in size. This particle size is 0.000012 of an inch, which is about 300 times smaller than the diameter of a human hair. To a HEPA filter, catching a one-micron size particle (1/1,000,000 of a meter) is the equivalent of stopping a cotton ball with a door screen. It is important to note that 0.3-micron was selected because it was believed to be the most penetrating particle size of a filter and if the filter has a high efficiency at 0.3-micron its efficiency will be greater in other ranges. In a typical atmospheric air sample, there are hundreds of thousands of these particles in a single cubic foot of air. The United States Environmental Protection Agency (EPA) publishes data for US cities in terms of the size of particulate matter (PM). The three common levels are PM10 – particles 10-micron or less, PM2.5 – particles 2.5-micron or less, and PM1 – particles 1-micron or less3. PM1 is the most common by count of all particles in the air as that is the range where 99% of all airborne particles reside. Typically, these particles are produced from everyday activity such as automobiles, factories, and even utilities and we recognize the pollutants as dust, dirt, soot, and smoke. Even forest fires and wood-burning stoves contribute high levels of these sub-micron particles. They are also the most dangerous size particles as those under 1-micron in size can go deep into the lungs and enter the alveoli where there can be direct exchange with the blood. Even the best HVAC grade filters can only remove up to 70% of these particles, but a HEPA will be 99.97% efficient. HEPA filters do have a very dense media and can result in overloading the typical air distribution fan in an HVAC system so seeking application expertise is always a good idea. Remember, that that the Centers for Disease Control and Prevention (CDC) and other professional engineering organizations recommend HEPA filters in hospitals, infection control clinics and other healthcare facilities to eliminate airborne pathogens, microbes, and other dangerous particles. HEPA filters will become more popular as the EPA continues to publish more data on the prevalence and dangers of PM1. 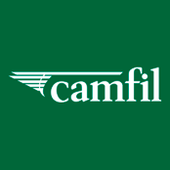 For more than 50 years, Camfil has provided air filters and clean air solutions to a number of commercial industries. And as air filter technology has evolved, Camfil has kept pace, offering not only HEPA filters, but also Ultra Low Penetration Air (ULPA) filter, which is rated to remove at least 99.99 percent of dust, pollen, mold, and bacteria. Please visit our website for more information on the products we offer.